The Dungeness crab is a species of crab that is found anywhere from the south of San Francisco to the Aleutian Islands in Alaska. They grow on average to 7.9 inches across the shell and can live for over eight years. Their typical habitat is the eelgrass beds and muddy to sandy bottoms of the west coast of North America. Crabmeat is a popular seafood and is considered a delicacy. It is served in many cuisines around the world. It’s prized for its sweet and tender meat. It is low in fat and is a good source of protein. Like other marine species, it is rich in selenium and other nutrients. Much of the meat of the crab - the white meat comes from the legs and the claws. It sometimes has a red/brown color to it. It’s white meat is versatile and is used in sandwiches, pasta, salads and as a canape toppings. The body of the crab carries the brown meat which has a higher natural fat content. It is also high in Omega 3 acids. However, it has a pate like texture that is rich and flavourful. About a quarter of the crab’s weight is the meat. Dungeness crabs are typically purchased live or cooked. Live crabs are cooked by boiling them in salt water for about 15 minutes after which they are removed and left to cool in cold water before cleaning. Two common tools used for removing crab meat from the shell are a crab cracker and a shrimp fork. A cleaver, mallet or small hammer is used for cracking the shell of the Dungeness crab. 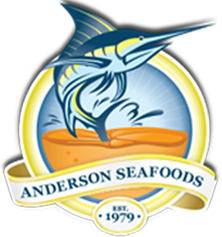 Buying Dungeness Crab Meat Online from Anderson Seafoods has never been so easy, or tasted so good!